Toxic shame crushes self-confidence. It makes you feel small, not good enough and not worthy of love. If feelings of shame and self loathing seem to be your constant companions, this exercise could change the trajectory of your life. It uses tapping, or EFT. For more info check out mythoughtcoach.com on instagram or look up EFT technique. Personal guidance to the other side of a panic episode. I got you. Urges and cravings are like waves. They rise, build to a peak, and then fall. Learn how to surf the harmful urges that come instead of giving in and acting on them. This one exercise you could breath new life into your relationships. More focus and feelings of fulfillment will also be likely side effects. Some extra help getting through a difficult period in your life. Forgiveness is the most rapid road to peace and creativity that I know of. Come to this recording with even just a willingness to forgive, and I will help you the rest of the way. Improve that inner chatter in regards to your body and potential food or binge triggers. When you get where you want to be mentally, the rest is easy. Perfect for party days . . and basically the entire month of December. Regardless of what is going on outside of you, you can still experience joy. It's your very own 15- Minute Christmas Miracle. Bad memories of either previous get togethers, or family drama and pain growing up, can make us feel like we're going crazy. Often they send us right back emotionally to about the age we were when difficult stuff went down. If you are someone who is filled with a whole load of mixed emotions and worry at the thought of family or social gatherings, especially around the holidays, this is for you. The world, your community, your friends, and the amazing relationships yet to come all need you to be emotionally strong and clear, especially when things get tough. Get out of bed tomorrow with more energy, focus and gratitude. This would be a good one to set your alarm to! Stuck in a thought loop? Feel like you're in a trance most of your day? This will help you focus and move towards action. To help you forgive others and yourself. A drug free solution for managing your pain. This guided meditation will restore your ability bounce back after a stressful situation. You don't have to be lying down to relax DEEPLY. This is what I MEANT to load last week--NOT the old skreeching version from 2012! Ewww! My super bad. Listen to this instead! Your life will go a whole lot better once you do. Stop letting the circumstances of your life determine where you end up. Break out of the phone trance with this tao exercise and guided affirmations. CREATE THE LOVE OF YOUR LIFE! Feel and express gratitude and thanks as though you are, in this moment, already experiencing deep love, passionate and focused commitment, and partnership bliss in your life! Help for the occasional or chronic insomniac-- to fall asleep faster and remain asleep longer. Workout Recovery--Visualization and images to heal. For a powerful shift in how we see what we do. Things you may or may not have heard from your mom growing up, but you might need to hear. Create your body anew, each time you listen. Emotional Weight Loss Meditation--Eliminate the non-physical causes of being overweight. Exhale confusion and anxiety, inhale clarity and peace. Change and release this pattern in your life! Use this guided meditation to get through the first 4 to 6 weeks after a crisis to help you feel peace. Body Change Meditation--Relaxation and imagery to experience and create your body anew. A housekeeping for your mind and spirit. Manifest!--You have been given creative powers, and are meant to participate in an active relationship with the Universe and its processes. When you are still INSIDE, what is going on OUTSIDE just doesn't matter as much. Placing the palms of your hands over your closed eyes will bring you right back to life. Fast! You will begin to have impressions about your own work as you mindfully listen to this powerful message by Gibran. Overcome test anxiety and recall what you have studied with ease! For the young or young at heart. 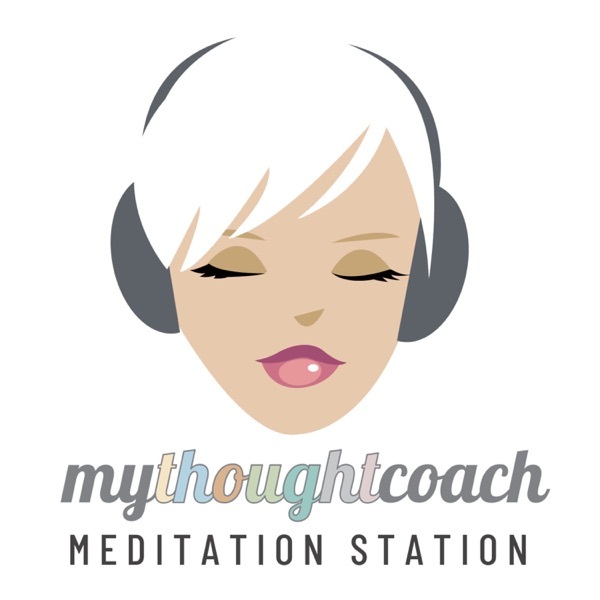 Send as an e-meditation to someone who need this from mythoughtcoach.com! A Pre- Holiday Must Do! Relaxation and imagery to experience and create your body anew. In a committed relationship or not, you deserve to have and share love and passion in your life! This meditation combines relaxation, imagery and affirmations. Perfect for elite athletes and weekend warriors. More at mythoughtcoach.com! One to Ten. . .
From the Power Nap Series: For the office, the internet addict, the stressed out student, and anyone else who needs a quick and effective re-boot. Send this as an e-meditation to someone you care about! It's free at www.mythoughtcoach.com. Completely drug free pain relief that really works. Center & Align Your Energy Centers--Balance and charge your chakras! Visualize, relax and prepare for a test. Love yourself, and watch what happens. This clinically proven method can help lower your blood pressure, anxiety and depression. Learn to use your breathing as a way to relax. Embrace your full power and potential. Inner stillness is where your power is. Take a moment to let go of fear and stress. It's time to change. Take time daily to set the stage for deep and meaningful love in your life. Your New Year's Resolutions will be easier with this meditation to listen to. I re-worked this earlier meditation, and am re-releasing for Thanksgiving. One of my favorites. . .
Spirituality adds depth and texture to our lives. When you open up your heart, despite past pain, you increase your capacity to feel more joy and happiness. If you are struggling with depression or low feelings of self worth, do this meditation morning and night. You will begin to feel joy inside that you have never thought possible! You won't believe how deeply relaxed you will become with this mini vacation. Ambient frequencies in the background will assist your brain in getting to a deeper state of stillness more quickly. This works great for kids if they're hurt or in pain. The best healer is the one within. Try this when in pain or recovery from an illness, or pass it to someone who is. I have seen this type of meditation work many times. This was made for my friend before a marathon. Great for all sorts of athletic endeavors. Enjoy, and forgive the cheesy Chariots of Fire moments. Chock full of stars, waterfalls, and nice animals. Your kiddies will love this adventure, and it will help them learn to visualize and be still. Taking a few moments upon rising each morning can make a tremendous difference in how your day will end up. Affirm in your mind what you want, not what you fear. See your day working out perfectly. Express gratitude. Allow all things to be new. Music for a good night, darling. No Stin, just great snooze stuff. Designed with the most effective techniques available to end worry and anxiety.